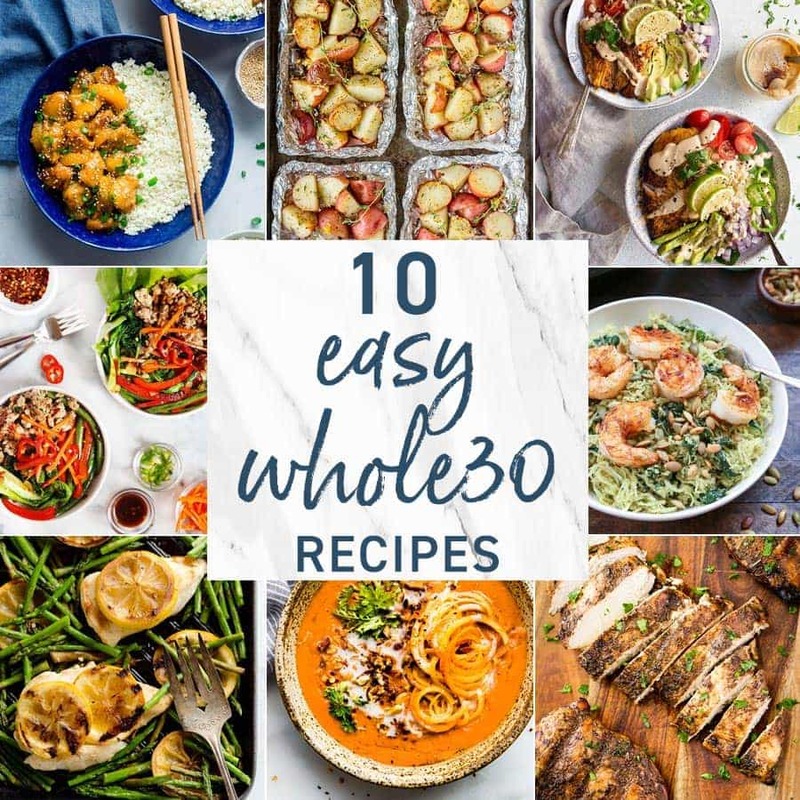 Whole 30 Recipes don’t have to be difficult! Whole30 Recipes can be simple, DELICIOUS, quick, and easy. 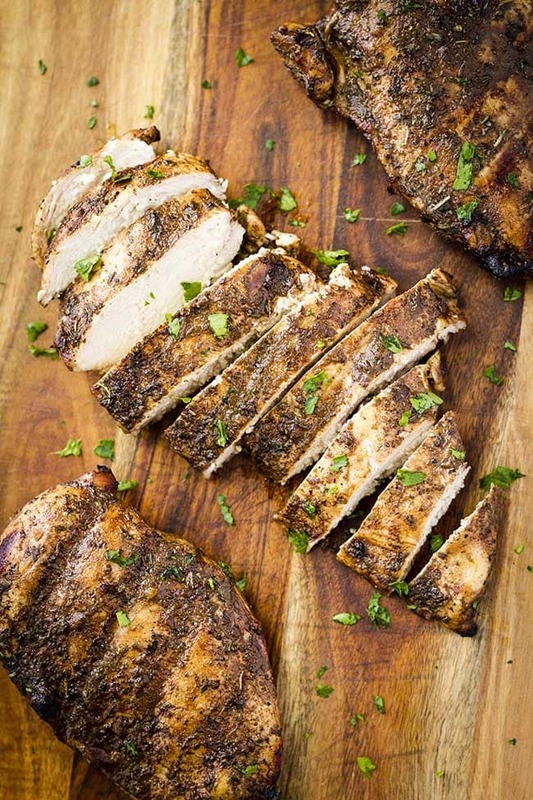 We have compiled 10 of the best Easy Whole30 Recipes we love most for flavor and ease. 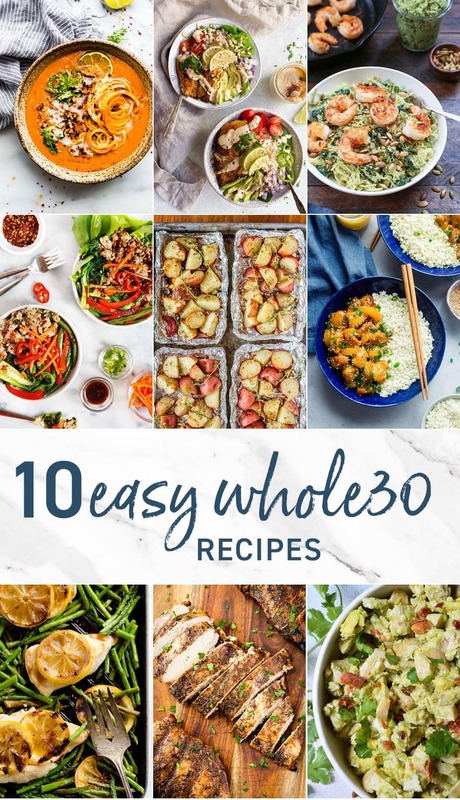 Easy Whole30 Recipes can feel hard to come by. 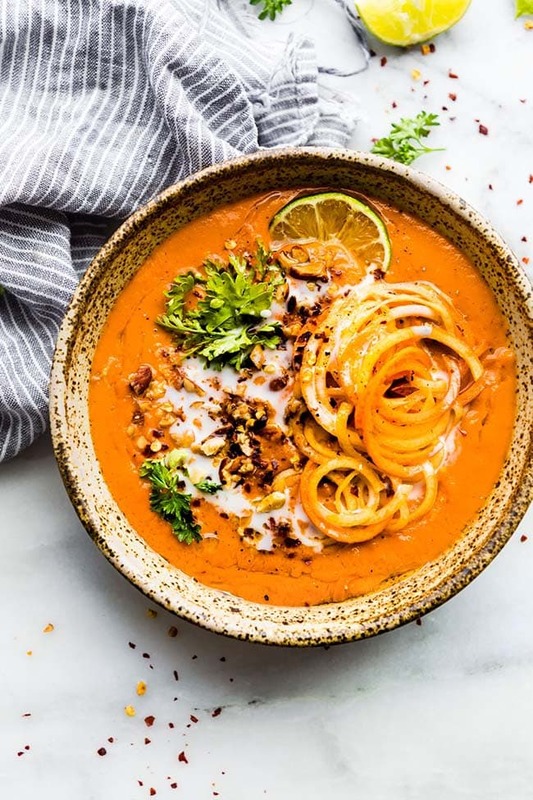 We are all striving to be healthier, and I hope these SIMPLE Whole 30 Recipes help! The holidays and over and done with. I’m sure we’ve all had our fair share of decadent eats and treats. With the new year ahead, it’s time to get back on track with some healthy eating. Today we’re sharing 10 Easy Whole30 recipes. Cheers to a healthier new year! These are the Best Whole30 Recipes I’ve found for flavor, ease of preparation, and popularity. What kinds of foods are not allowed in Whole 30 Recipes? The Whole30 Diet outlaws food such as dairy, grains, legumes, alcohol, added sugar, and other preservatives/additives. It can be a bit confusing so I love to think about it as anything that was living is okay, much like Paleo. For a full list of rules, it’s good to check out the Official Whole 30 website for more details. 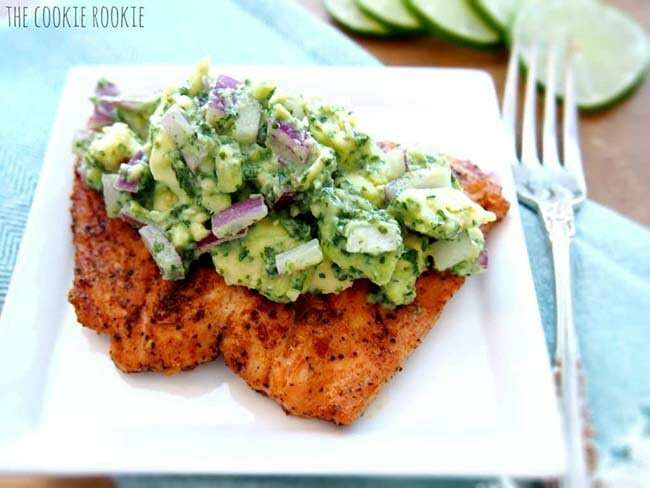 Whole30 Grilled Salmon with Avocado Salsa | The Cookie Rookie This Whole 30 Recipe has been pinned over 2 million times! It’s definitely a fan favorite and you’ll want this grilled salmon in your Whole30 Recipes meal rotation. It’s absolutely DELICIOUS and you’ll want to make it again and again, even when you’re no longer participating in the Whole30 Diet. Watch the video below for How to Make Whole 30 Recipes! 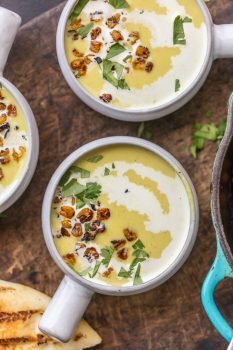 Zanzibar Carrot-Tomato Soup | Cotter Crunch This dairy-free bisque uses spices, herbs, and coconut milk to make a rich and creamy naturally paleo and vegan soup! This is one of the Best Whole30 Recipes out there! 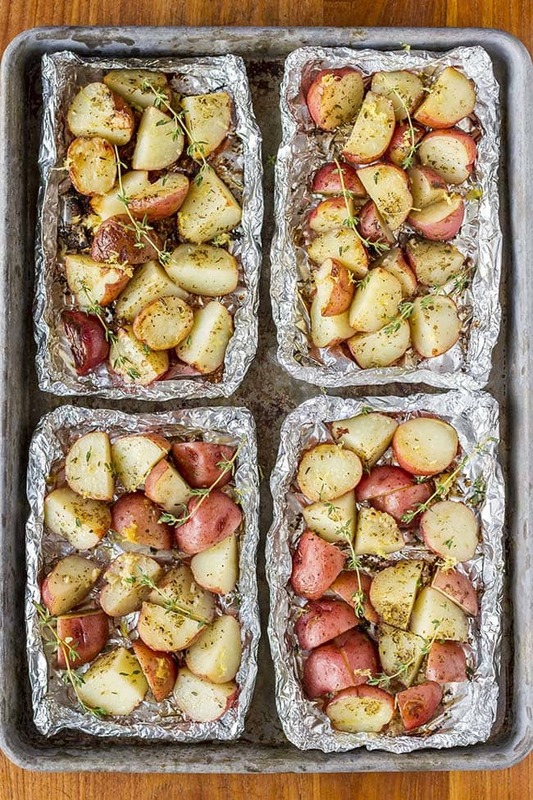 Easy Grilled Potatoes in Foil Packets | Unsophisticook Grill potatoes quickly and mess-free by using foil packets. These potatoes are seasoned with garlic, lemon, and a touch of ghee. This is such a great and Easy Whole30 Recipe. 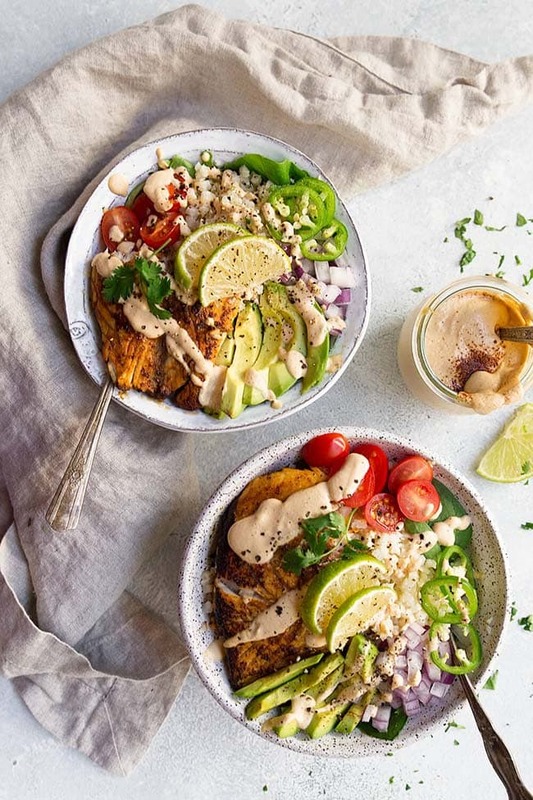 Whole30 Fish Taco Bowls | The Movement Menu These fish bowls are loaded with veggies, cauliflower rice, and topped with cashew chipotle sauce. It’s a quick, easy, and balanced meal everyone will enjoy! This is one of those Whole 30 Recipes that I would want to make time and time again. Grilled Lemon Chicken Skillet | The Creative Bite One pot, 15 minutes, and 5 ingredients. 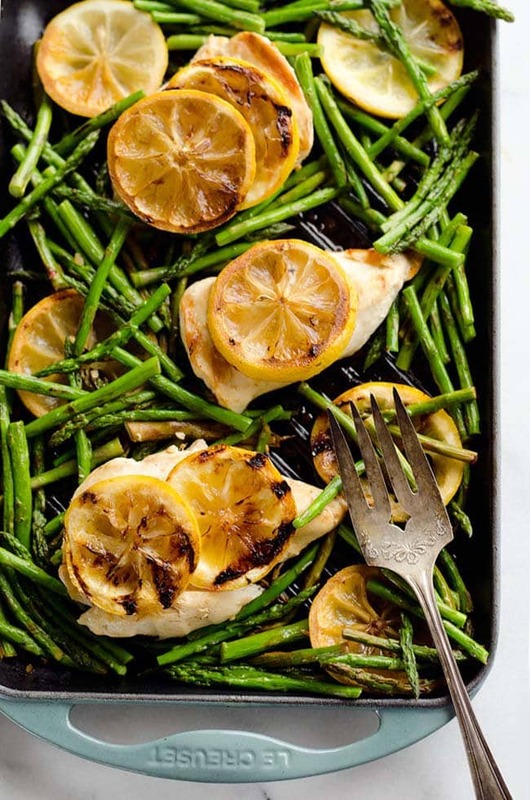 That’s all you need for this healthy grilled lemon chicken skillet. 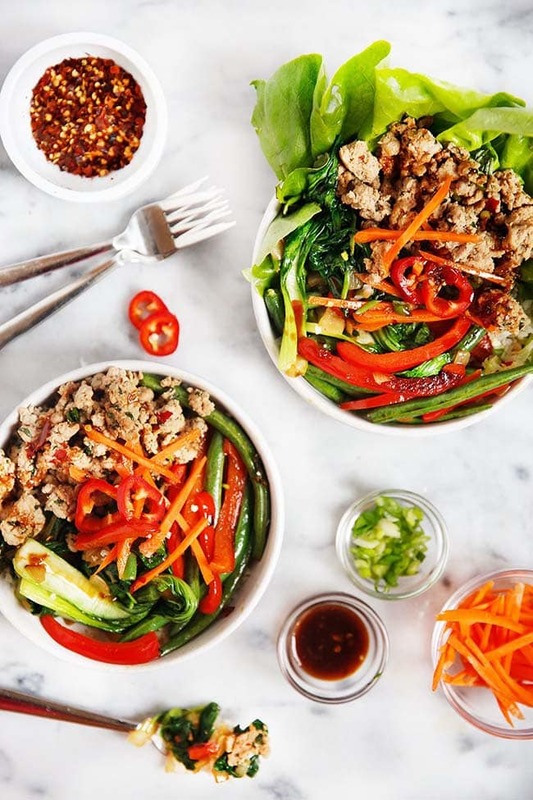 Thai Basil Turkey Bowls | Lexi’s Clean Kitchen These Thai basil turkey bowls are ideal for meal prepping. It’s topped with bok choy, red peppers, green beans, spinach, and a delicious chili ginger sauce. Balsamic Grilled Chicken | Unsophisticook Marinate chicken breasts in balsamic vinegar mixed with garlic and Italian seasoning for a delicious, juicy, and succulent chicken! 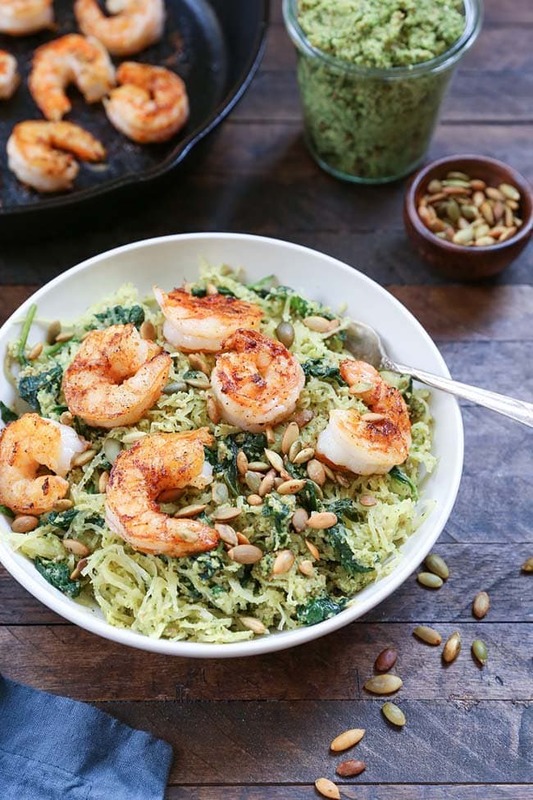 Spaghetti Squash with Sauteed Shrimp and Parsley Pesto | The Roasted Root This low-carb, paleo friendly, gluten-free meal is a great way to introduce Whole30 into your lifestyle. Best of all, you’ll want to use this basil-parsley pesto sauce on salads, bowls, and more! 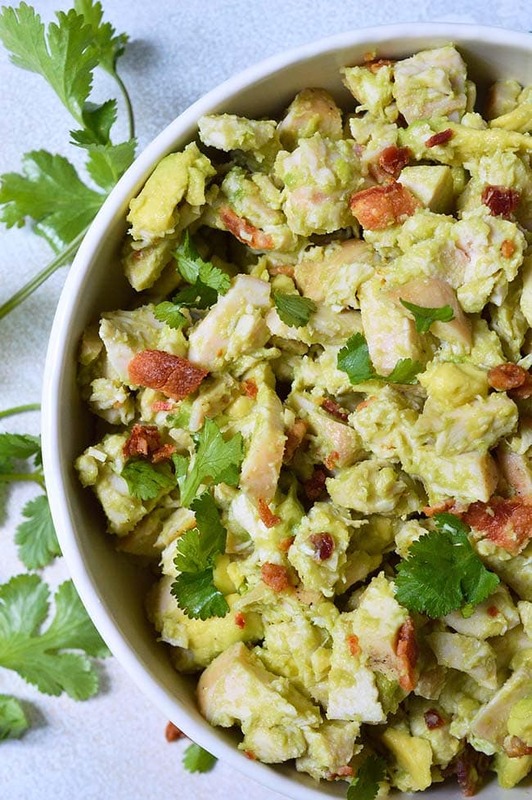 Bacon Avocado Chicken Salad | Wonky Wonderful This Whole30 bacon avocado chicken salad is a healthy alternative to the traditional mayo chicken salad. Instead of mayo, it relies on the creaminess of Hass avocados. Paleo Orange Chicken | Food Faith Fitness Forget take out! 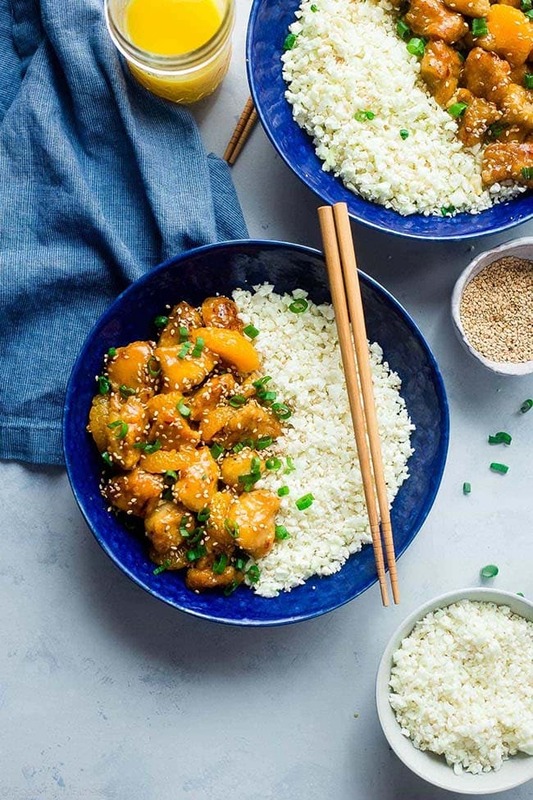 This paleo orange chicken tastes just as good and it’s so much healthier. 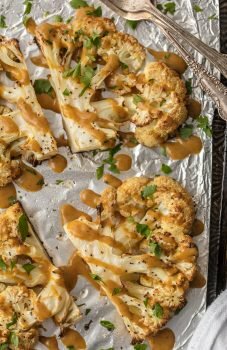 Serve it over cauliflower rice or a heathy green salad.